The adoption in April 2017 of the Electricity Market Law kicked off a complete reorganisation of the market in the country. It is expected that by 1 July 2019, a liberalised model will start to operate. This will bring new players to the market, trigger more competition and promote the security of supply. However, much work remains to be done in 2018. A set of secondary legislation needs to be enacted and both the industry and consumers need to start adapting to the new rules. Another landmark development in Ukraine’s electricity sector in 2017 — more than a decade after the matter was first raised — was the start of the process to integrate Ukraine’s Integrated Power System into the European Network of Transmission System Operators for Electricity (ENTSO-E). Ukraine has to fulfil a number of technological and regulatory conditions to achieve synchronisation in the operational mode by 2025. This will require significant investment in the country’s energy infrastructure. In the gas sector, where reforms are generally more advanced by comparison with electricity, the unbundling of the transmission system operator and the liberalisation of the gas market for households, including improving the subsidies system, remain key targets that, regrettably, were not achieved in 2017 and have been moved to the agenda for 2018. From the investor standpoint, after certain tax incentives to promote gas production from new wells were introduced, the non-transparent and complicated licensing system remains one of the major barriers to enter the market. This is gradually improving in 2018 with the adoption of legislation on deregulation, although there is still room for further improvements. One positive development on Ukraine’s gas market in 2017 that attracted the attention of international energy traders was the introduction of the customs warehouse regime, the aim of which is to increase the utilisation of underground gas storage facilities and promote the idea of creating an Eastern European natural gas hub in Ukraine. New environmental impact assessment regulations came into effect at the end of the year, bringing additional challenges for the industry overall. According to the State Department of Energy Efficiency, 2017 presented 257 MW of “green” electricity and 1.8 GW of heat generation. The largest contribution to electricity production was made by new solar and wind power plants, while new heat generation was introduced through bioenergy. Persuasively, the level of investments in the sector in 2017 reached a historic record of nearly EUR 1 billion. The first quarter of 2018 instantiated that the “green” generation is still rapidly increasing by introduction of 159.4 MW of generating capacity. Wind and solar power stations are still on top and make up to 92% of all installed capacities. On Market of Electric Energy, which prescribes development of a totally new structure of the market and envisages a change from the current single buyer model market to a new liberalized market. The positive effect was also connected with the amendments to the model PPA, making it more bankable for investors. There is no doubt that legal professionals are playing a key role in the exponential growth of the sector by facilitating complex financing, structuring deals and ultimately helping to take the industry from a niche sector to a major player in the Ukrainian energy market. The renewable sector is relatively young in Ukraine, and from a legal perspective, requires a lot of negotiation and risk management. The timely involvement of legal advisors helps to avoid unnecessary stress and expense. Therefore, the legal teams need to be involved in the early stages of the project in order to shape it, provide strategic advice to the management team and draft supporting documentation. Recent suggestions by the Regulator and Parliament’s Energy and Fuel Committee on the introduction of auctions as new ways of stimulation of green energy production in Ukraine will definitely add more complex legal work, but the alternative sector remains extremely attractive. CMS Cameron McKenna Nabarro Olswang is an eminent market leader on the legal energy landscape in Ukraine. The outfit became a legal counsel for the lion’s share of international upstream oil and gas companies operating in Ukraine. In the renewable area the firm is regularly hired to advise on an array of evolving matters, among others financing and construction, corporate and M&A, regulatory, etc. The office is strongly dedicated to providing an office with advice on gas import and electricity export projects to and from Ukraine. Over the last couple of years the team has accommodated significant expertise in handling international energy disputes. Its recent caseload has included several complex investment arbitrations. For example, the firm acted as a Ukrainian law counsel for JKX Oil & Gas plc in the SCC arbitration under the Energy Charter Treaty proceeding brought against Ukraine, including obtaining the first ever emergency award against Ukraine. Vitaliy Radchenko is the top referred practitioner acclaimed for strong transactional and regulatory advice, particular experience in gas trading and renewable energy. Senior partner Olexander Martinenko is a highly-reputed lawyer in the country, and is consistently noted for his unrivalled arbitration experience. Volodymyr Kolvakh and Inna Antipova are the main team members. Baker McKenzie constantly stays among market-leading counsels with solid mandates spanning corporate, finance, M&A, JVs, construction, regulatory and dispute work with the notable recent accent on infrastructure and privatization, restructuring of state-owned enterprises in the sector. The firm works on the first combined type of public-private partnership in energy, advising Polenergia International on its potential participation in Ukraine — EU Energy Bridge Project. Baker McKenzie represents Ukrenergo in the implementation of its corporate governance structure to ensure it aligns with the new state policy of property management. Apart from involving oil and gas trading and petrochemicals, nuclear power projects, power transmission, the office is increasingly active in renewable energy. Andrii Moskalyk, senior associate, receives strong market endorsement for his corporate expertise and work on cross-border transactions in the energy sector. Hanna Shtepa and Victoria Ischenko are the core force of the team. Two partners are responsible for the practice: Serhiy Piontkovsky is renowned for privatization projects and regulatory advice; Ihor Olekhov specializes in project finance deals in the renewable energy sector, electricity market and energy efficiency projects. The recent project portfolio of highly-regarded national market player Asters focuses on corporate and M&A, advice on joint investment agreements, production sharing related issues, and regulatory regime across different energy sectors, development, financing, restructuring matters. The market recognizes the team’s expertise in PSA, and established strong positions in electricity and renewable projects. The team’s ongoing public highlights include advising OAK Utility Solutions & Development WLL on the implementation of waste-to-energy projects in Ukraine. The well-resourced practice is inevitably guided by partners Armen Khachaturyan and Tamara Lukanina. Yaroslav Petrov who has been promoted to partner, has expertise in gas trading, and electricity and renewable energy were strongly endorsed during the poll. Dentons performs a diversified practice with extensive coverage of mining and natural resources, upstream oil and gas, nuclear energy, renewable, supported by profound finance, transport and municipal infrastructure projects. The firm acted for CEFC Hainan International Holding Co., Ltd on its acquisition of a majority stake in KMG International, a unit of Kazakhstan’s state oil and gas company, which owns refining and fuel distribution assets in Europe. The Ukrainian energy practice was boosted by renewable sector instructions, and provided legal support to Helios Strategia for the building of two rooftop solar power plants in southern Ukraine; and the Ukrainian Association of Renewable Energy on the conclusion of electricity sale and purchase agreements for project development involving foreign investors. Counsel Maksym Sysoiev is praised by peers for his growing presence in renewable projects. US-qualified partner Myron Rabij is mostly known for regulatory expertise in gas trading and renewables. Redcliffe Partners has a wide scope offering of its energy practice that covers production sharing and production enhancement agreements, investment agreements, high-profile M&A deals and JVs, financings and restructurings, compliance and regulatory work. The firm won mandates from Ukrnafta and Expert Petroleum on the development and implementation of a product enhancement agreement in Ukraine. This past year the firm demonstrated a formidable transactional practice, being instructed on high-end energy M&A and deals in renewables. The firm now advises a strategic Turkish investor on a potential acquisition of a wind farm project, and a strategic Chinese investor on a potential acquisition of a solar plant project in Ukraine. The firm develops its compliance practice, and advised Cadogan Petroleum on revising and updating its compliance system. Its historically strong finance team typically acts for banks, and advised the EBRD on financing to Aquanova for development of a small hydro power plant, and on a loan faculty to MHP under a biogas loan agreement. All three partners are active in the energy sector. Dmytro Fedoruk and Rob Shantz lead the practice; Olexiy Soshenko is in charge of financing and debt restructuring transactions. The firm’s counsels have their specific focus: Svitlana Teush heads the renewable energy sector, electricity and energy infrastructure projects; Zoryana Sozanska-Matviychuk coordinates corporate/M&A assignments; Ario Dehghani focuses on compliance. The multidisciplinary offering of Arzinger combines transactional and dispute experience alongconventional and unconventional sectors. The team’s latest M&Ahighlights include support for Centrica plc, a parent company of Direct Energy, one of North America’s largest retail providers of electricity, natural gas, and home and business energy-related services, on the Ukrainian part of a transaction on acquisition of assets in Rokitt Inc. and their proprietary Rokitt Astra Technology. The firm’s caseload takes in PPP, project financing, energy efficiency projects and energy service agreements. The firm is also often chosen by foreign investors for a variety of instructions including regulatory, tax, corporate, financing matters, procurement and supply. Arzinger has recognized expertise in international arbitration practice evolving energy disputes. The practice team is headed by the firm’s managing partner Timur Bondaryev. Maryna Ilchuk1 was noted for proficient regulatory expertise. The Lvivand Odessa based partners Markian Malskyy and Andriy Selyutin, respectively, lead energy projects across their core practices. The sizeable energy team of the Ukrainian law firm AEQUO expands along the growing project portfolio of the practice. The firm became the choice for major international investors and higher Ukrainian government authorities. Of late the team has particular involvement in corporate, M&A, project development, and competition instructions, as well as strategic international arbitration proceedings. The team advised Guris Holding, a strategic Turkish investor active in infrastructure development and alternative energy (wind) projects, on a wind energy project in Odessa Region.The firm also enjoys strong banking team, enlisted by the EBRD to handle restructuring work. In 2017 the firm continued its advisory to Naftogaz of Ukraine on the attraction of a sovereign-guaranteed loan for purchasing gas from suppliers. The firm is also referred for energy sector related dispute resolution matters, including international arbitration proceedings regarding gas sale and transportations contracts and pricing thereunder with total amount of claims exceeding USD 72 billion.The practice is co-headed by two partners, Denis Lysenko and Anna Babych, with key input from Pavlo Byelousov and Myroslava Savchuk. Sayenko Kharenko has a multidisciplinary team that in addition to its well-known strength across transactional, regulatory and international arbitration settings, has a market leading international trade team. Recent work highlights include acting for Bank of America Merrill Lynch and OPIC on sovereign guaranteed financing to State Enterprise National Nuclear Energy Generating Company Energoatom to construct a centralized spent nuclear fuel storage; and advising the EBRD on the development of effective legal framework for procurement of an energy service in Ukraine. The firm continues to support NEFCO in projects intended to improve energy efficiency in Ukraine. 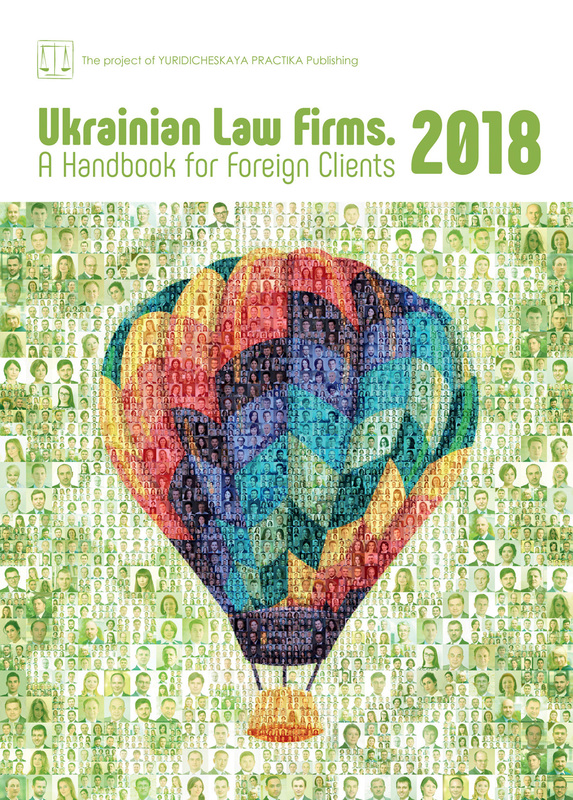 On the dispute front, the firm acts a Ukrainian legal counsel for the State of Ukraine in an Energy Charter investment arbitration initiated by minority shareholders in PJSC Ukrnafta with the amount of claim around USD 5.4 billion. The firm has a remarkable roster of domestic and international mining and metals clients that are represented in the safeguard investigation related to imports into Ukraine of nitric acid notwithstanding the country of origin and export. Partners Nazar Chernyavsky and Vladimir Sayenko, counsels Konstantin Gribov and Igor Lozenko (re-joined in 2017) are the core members of the practice. Ukrainian law firm EVERLEGAL has a team that is renowned in the market and recently showcased its boosting renewable energy, especially in solar projects. Throughout the past year the firm was involved in handling a number of M&As and JVs in that sector, and renders continuous advice on regulatory matters, cross-border commercial contracts, financing, sale and purchase of shovel-ready projects. Public clients include Main Group and UDP Renewables. Transactional and regulatory work in oil and gas, knowledge of new legislative developments are also within the firm’s remit. The practice is co-led by two partners Yevheniy Deyneko (oil and gas) and Andriy Olenyuk (conventional power and renewable), both enjoy great market support for a fast-growing renewable portfolio. ANTIKA Law Firm has an established team in oil and gas, conventional power, energy saving and efficiency, energy performance contracting work. The firm is a senior legal expert of the Consortium on the EBRD Public Sector Energy Efficiency Investment Programme — Energy Performance Contracting Project Implementation Unit for the City of Dnipropetrovsk project. The firm is traditionally instructed by the NEFCO on Project Implementation Unit Support for Energy Efficiency improvements in public buildings in the cities of Chernivtsi and Ivano-Frankivsk. The firm possesses significant expertise in advising the oil and gas sector, rendering legal support on corporate, tax, regulatory, competition issues. Most recently the firm advised Cadogan Petroleum Plc on structuring the joint investment activity in natural gas extraction from a series of deposits in Ukraine. The year 2017 added some dispute projects in the energy sector. The significance of practice is also underlined by involvement of all four partners. Alexey Kot is experienced in PSA and joint operating agreements, rendering support to state companies in oil and gas projects with a current focus on corporate and arbitration. Alexander Burtovoy remains dedicated to energy efficiency and saving projects. Andrey Kuznetsov is in charge of litigation. Experienced in contract and corporate Sergii Korniienko advises on application of Ukrainian law in arbitration cases in the energy sector. The Kyiv energy group of DLA Piper is an integral part of the firm’s international energy sector. The team is often mandated for cross-border advice, evolving corporate, competition, regulatory, contractual, trading, licensing, and tax. It acts for international energy companies (ENI SpA and Toshiba) and local players. Among long-lasting public projects is advising BMUB (Federal Ministry for the Environment, Nature Conservation, Building and Nuclear Safety of Germany) on the structuring and establishing of an energy efficiency fund by international donors and the State of Ukraine. The firm has a solid track record of high value renewable energy projects, acting at all stages, starting from development and ending with acquisitions and disposals of interests. The two-partner practice is guided by Oleksandr Kurdydyk and Galyna Zagorodniuk. The scope of practice of Eterna Law covers regulatory matters for several jurisdictions of the firm’s presence, including Ukraine, Russia and Kazakhstan, spanning to high-profile corporate and competition law matters. The firm is a choice for foreign investors for M&A mandates, and has enjoyed a big portion of arbitration in its recent portfolio. Amongst notable highlights are representing Ukrenergy Trade Slovakia, a supplier of natural gas in the USD 350 million VIAC arbitration proceedings commenced due to the respondents breach of export contracts for supply of electricity from the so-called island of Burshtyn TES to Slovakia, Romania, Hungary; acts for Centrenergo, a Ukrainian electricity generating company, in the LCIA dispute against a supplier of defective coal. Another highlight is advising DTEK on restructuring and preparing the sale of certain assets. The workflow is managed by two partners, corporate and M&A by Oleh Malskyy and international arbitration by Eugene Blinov. Stanislav Gerasymenko, who joined the team as of counsel, added his expertise in alternative energy. The Kyiv office of EY has gained solid experience working for the largest international oil and gas companies. EY advised National JSC Naftogaz of Ukraine in connection with developing a system of governance and internal control. Another recent highlight was advising the IFC on the winding up of the management agreement between the Kyiv City State Administration and PJSC Kyivenergo determining the most suitable alternate transaction option for the central heating sector in the city of Kyiv. The core individuals are Iryna Kalyta and Iryna Kovalenko, guided by experienced partner Albert Sych. GOLAW is traditionally active on behalf of foreign investors and market operators, covering legal advice on investment, financing, corporate, tax and customs, construction and regulatory instructions. Of late the firm has enjoyed rapid growth in renewables, advising OnTrack Engineering, an international company on automation of project management and software development, on financing and implementation by the company of projects in alternative energy; acting for Hydromist Ventures on attracting financing for a renewable project. The firm acts for Enkom a.s., EPC contract holder, in the tender for a comprehensive reconstruction of communal and public real estate objects. The practice is guided by Sergiy Oberkovych, senior partner. Gramatskiy & Partners retains its fixed positions in the area of mining,exploration and development, electricity production and distribution, and broadened the alternative energy area. Among recently accomplished projects are series of debt restructurings for supplied heating and electricity, including bankruptcy procedures; advising on the production and distribution of biofuel, energy saving technologies, export of alternative energy and fuel pellets to the EU. The firm assists SNT Ltd with the conclusion of a dealership agreement for the supply of burner devices and modernization of gas equipment to the Gulf States. The firm has a consistent following of clients involved in state and municipal infrastructure projects, delivering comprehensive legal support to Teploenergomontazh, Teploengineering and other players. Ernest Gramatskiy manages the practice. Ukrainian law firm ILF Law Firm has a mainstay in the field ofenergy efficiency projects with strong expertise in private and municipal areas, and rapidly developed its renewable energy caseload throughout 2017. The team has been involved in creating energy efficiency market regulations through drafting of legislation. The firm’s client list includes Greencubator, Energo-Tech-Invest, Ukrainian Energy Trust, Energy Group ESCO, MNC group. The firm acted for UNDP in the development of methodological recommendations for territorial communities on establishing and operating municipal ESCO-companies. Serhiy Silchenko is a lead partner. Ivan Bondarchuk and Mikhail Bannov are other key practitioners. Ilyashev & Partners maintains its clear dispute focus and is hired for big value cases. The firm continues to represent Ostchem Holding (Group DF) in a case on recognizing the emergency award of the Stockholm Arbitration in the USD 246.5 million suit against the Odessa Portside Plant; advises JKX Oil & Gas Plc on recognition and enforcement of an arbitration award against the State of Ukraine. The firm also frequently handles corporate matters, bankruptcy, antitrust and regulatory work. Among other major recent clients are Ukrinterenergo, UkrGaz, UkrGazEnergo, LetterOne Group, TBC Energy LLC, Zhigermunaiservice LLP (Kazakhstan), Port of Vitino, White Sea Oil Depot (Russia). The main legal force consists of Oleg Trokhimchuk and Ivan Stasyuk, and is led by Mikhail Ilyashev, managing partner. INTEGRITES combines advisory ofcomplex energy projects and representation in energy-related disputes. The practice team advises a global leader in advanced technologies and complete life cycle solutions for energy markets, on structuring a public utility project that will enhance power supply at national level. In addition to the mainstay in electricity, including power generation and power supply, and natural resources, in the outgoing year the team increased its presence in the field of alternative energy, in particular wind farm development, and broadened its antitrust work in the sector. As part of the energy team’s offering, the firm is actively developing its lobbying service. The international arbitration team guided by partner Olena Perepelynska had a successful year with the recent victory of a USD 8 million LCIA arbitration representing the UK-based Jereh’s exclusive official dealer for Ukraine in a dispute against the largest gas production company in Ukraine. Dr. Oleksiy Feliv, managing partner, heads the practice. The Ukrainian office of Kinstellar expanded the market presence of its energy group, as headed by recently promoted partner Olena Kuchynska. In particular, the workflow of the team consists of corporate, M&A, antitrust, compliance and investigations. The firm is known for its appointment as an independent legal counsel to the supervisory board of Naftogaz of Ukraine. The team also advises international gas traders on EFET agreements and relationships with Naftogaz, advised on various public procurement issues arising out of their participation in public tenders. Another highlight was representation of the shareholders of WOG, the largest gasoline retailer in Ukraine, on the establishment of a joint venture with international partners. Having a strong dispute resolution footprint, the Kyiv team, as led by Kostiantyn Likarchuk, managing partner, advised KazPetroDrilling, the largest independent drilling contractor in Kazakhstan, on arbitration strategy regarding debt recovery proceedings. KPMG Law has renowned expertise in corporate and M&A, tax structuring and contractual matters. The team acted for CROSCO, Integrated Drilling & Well Services, Company, Ltd oncomprehensive legal and tax support in entering the Ukrainian market and developing its business in Ukraine; a large multi-jurisdictional gas trader on business restructuring regarding development of a safe corporate structure to avoid corporate disputes. Yuriy Katser, director, head of legal, provided an expert opinion for LCIA on the validity and enforceability of a shareholders agreement concluded between Naftogaz of Ukraine and minority shareholders in respect of a corporate dispute involving Ukrnafta. Vasil Kisil & Partners is constantly present in a range of sophisticated disputes in the sector, also performing active corporate and M&A, energy assets transactions, financing, regulatory, competition matters.The firm acted as Ukrainian counsel to a well-known Ukrainian businessman, Gennadiy Bogoliubov, in a dispute to the value of about USD 340 million against Russian oil company Tatneft at the High Court of Justice in London regarding alleged appropriation of funds for oil transferred to the Kremenchuk oil refinery. The firm currently advises a subsidiary of a major Russian oil and gas corporation Gazprom Orenburg in respect of an investment dispute worth over USD 25 million, and represents the client’s interests in domestic proceedings within the pre-arbitration stage of dispute resolution. The team acts for an established client, Hubei Changyang Hongxin Industrial Group Co., Ltd (China) on acquiring shares in a Ukrainian company which has special permits to develop a manganese deposit in Ukraine. The renewable highlights include overall legal advice to Irish renewables investment fund Pure Energy on developing two solar power stations in Zhytomyr Region in Ukraine; representing Astra Capital (Ukraine) on acquisition of 50% share in a solar generation project in Zaporizhzhya Region. The oil and gas practice group is headed by Oleg Alyoshin; renewables practice group is led by Alexander Borodkin. With a variety of high-profile finance, restructuring, corporate/M&A, increasing amount of litigation matters involving energy assets, AVELLUM is a constant legal counsel to big multinationals and local industry players, investors, committees and groups of bondholders, financial and banking institutions, government. Given its top banking and finance team, the firm acts for strategic big ticket capital markets, finance and restructuring mandates. For example, the firm acted as Ukrainian legal counsel to the Ukrainian Ministry of Finance in connection with a sovereign guarantee in favor of Central Storage Safety Project Trust, with respect to a USD 250 million loan to State Enterprise Energoatom. The firm is instructed by leading industrial majors like Ferrexpo, DTEK, Metinvest. The firm recently extended its workflow in renewable energy, mining and regulatory, compliance. The management team includes two partners, Mykola Stetsenko and Glib Bondar. Promoted to counsel, Vadim Medvedev covers tax advisory. ADER HABER (the team used to be part of Spenser & Kauffmann) develops its energy practice with its previous focus on renewable, infrastructure and environmental issues. In addition to pure energy clients, the firm regularly advises established clients of another economic profile in the implementation of their energy projects. The client list takes in DTEK, Greenway Otomotiv Enerji Hizmetleri Anonim Şirketi, The Regional Environmental Center for Central and Eastern Europe (REC), UDP LLC, State Enterprise Production Association Yuzhniy Machine-Building Plant named after A.M. Makarov (YUZHMASH). Vitaliya Karhova, counsel, leads the practice with the contribution of Aleksandra Fedotova, partner, who renders advice on related real estate and land law. With solid industrial heavyweights in its client portfolio, this past year Lexwell & Partners was mandated for a row of regulatory assignments in the mining and extraction area. For example, the firm acted forMykolayivcement and Podilsky Cement (CRH), ArcelorMittal Kryvyi Rih and ArcelorMittal Berislav on obtaining special permits for the extraction of natural resources. The firm’s team consists of Andrey Kolupaev, Igor Nagai and Zhanna Goriacha. Wolf Theiss is noted for its consistent transactional experience in the sector. Most recently the firmrepresented a long-term client, LUKOIL, in the sale of its large-scale chemical operations in Ukraine. The team is noted for its experience in downstream and mid-stream matters, particularly regulatory issues, operates in the mining area, and was mandated for M&A work. Taras Dumych, Kyiv managing partner, has decade-long experience in the area. Evris Law Firm, an ambitious local team that re-established its market presence last year, adheres to renewable projects. The firm is currently working on a project to perform a large number of solar construction objects which all are at different levels of their life cycle, which requires investment transaction support, construction solar parks and equipment supply, obtaining licenses for producing electricity, green tariff settlement, concluding power purchase agreement with State Enterprise Energorynok, and broad support in its relations with banks. The core individuals are Sergiy Benedysiuk and Anastasiia Poppel. Sokolovskyi & Partners commends comprehensive legal offering for energy projects, and benefits from its strong tax practice. The scope of the firm’s presence includes energy efficiency and energy service contracts, electricity networks, construction of renewable energy plants, regulatory. The firm is often present in subsequent disputes, and is a popular choice for predominantly domestic companies. Oleh Kostiuchenko is the practice head and is supervised by Vladyslav Sokolovskyi, managing partner. Shkrebets & Partners, the Kharkiv-based local law firm, is visible throughout litigation. One of its consistent clients, Kharkiv Combined Heat and Power Plant No. 5, enlisted the firm to represent it in a series of cases, i.e. debt collection under a natural gas delivery agreement. The firm handled representation of the interests of JSC Kharkivoblenergo in litigation regarding debt collection for delivered electricity. Andrey Syvak is a lead partner. LCF Law Group is known for its principal litigation focus, and experiences an increasing following of energy clients. Energy disputes were singled out into the separate service. The team acted on corporate and property disputes, regulatory and commercial controversies. Among the clients are Arab Energy Alliance, Vikoil ltd, Ukrenergy Coal Limited. Anna Ogrenchuk, managing partner, is the main contact. KM Partners is most known for its leading tax practice, being enlisted a lot forinvestment and business structuring, working on projects on exploration and development of natural resources. The firm possesses further expertise in environmental law, being especially active on the dispute front with ecological inspections and other controlling authorities involved; and in legal support of infrastructure. Alexander Minin, Maxim Oleksiyuk, Alexander Shemiatkin are the key contacts. Attorneys’ Association Gestors led by Vitalii Makhinchuk advised PJSC Gas Supplying and Gasification Donetskoblgaz on agreement on lease of gas-separating systems or their parts with the Ministry of Energy and Coal Industry of Ukraine; and was its representative in a signing agreement on the use of a gas-separating system and facilities between Donetskoblgaz and Naftogaz of Ukraine. The litigation-centred Vdovychen & Partners performs its traditional mainstay — tax litigation, and added environmental disputes with regulators to its recent profile. Oleg Vdovychen is the main contact. The market sources singled out the extensive expertise of Bate Toms, managing partner of B.C. Toms & Co, who was involved in many significant upstream projects in the oil and gas sector. 1 In April 2018 she joined CMS Cameron McKenna Nabarro Olswang.